This summer is going to provide one of the most electrifying examples of the female game, the UEFA Women's Euros Championship, which this year is being hosted in the Netherlands. At the international level, the women's game captured the imagination of English football fans back in 2015. The Lionesses inspired the nation that year, beating rivals Germany to third place. That tournament was the seventh FIFA Women's World Cup and it felt like the most well publicised and supported women's World Cup in the modern era. Since then the game has continued to grow; female players are now household names and there has been significant support and investment from the likes of Channel 4 (who are broadcasting this year's Women's Euros). As the Fairer Game highlights, we need more female role models across every aspect of the professional game to inspire future generations. It's great to see the Euros are already inspiring football fans and I hope it is not only the talents of the national players, but also the 13 members of female coaching staff involved in the tournament that motivates fans across Europe. England's Lionesses come into the competition off the back of a summer of success, and they have a serious shot at the first senior-side silverware for an English squad in 51 years. The experience of a third-place finish in Canada two summers ago will surely boost the confidence of the team as they head for Holland this week. With a number of players competing in the last six major tournaments, there will be some wise heads in the dressing room. In fact 19 members of that 2015 squad are part of the 23 who kick off their campaign against Scotland (Eng 1/5, Scot 17/2, Draw 6/1) in Utrecht. We also need to remember that this is a very settled group of players who, back in March, also added beating world No 1 ranked USA to their CVs. The England team is certainly maturing, it is apparent looking at the camp that there is a confidence in the players that hasn't perhaps been present in previous years. Look out for Arsenal star, Jordan Nobbs, who at 24 years of age is one of the young stars of the Lionesses squad. The current women's player of the year will be keen to stamp her mark on the tournament and I am fully backing the combative goal scoring central midfielder to do just that. We also can't forget Lucy Bronze, Karen Bardsley and Steph Houghton who were all included in the FIFA World Cup 2015 team of the tournament for their outstanding performances. France and Germany - the only two higher-ranked European nations around - look strong contenders to join England in the quarter-final draw. 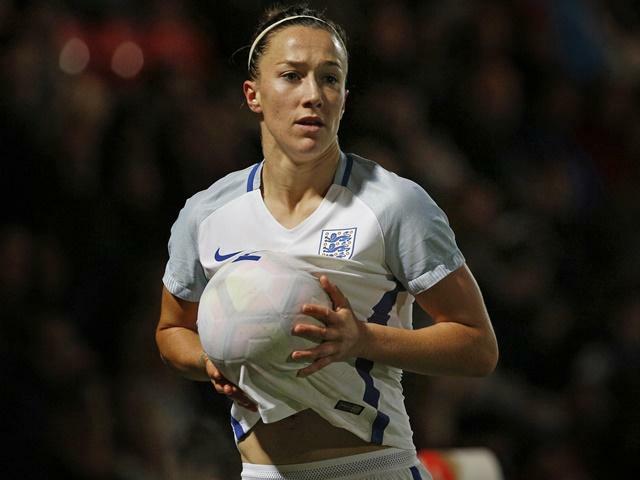 But England's Lionesses face a hefty challenge before they can look ahead to the last eight. I expect the Scots will want to ruin England's opening game although they have had some major injuries to three of their best players. Scotland will be looking to provide an historical performance in their women's team's first ever major tournament appearance. Germany are the obvious favourites on Betfair (5/2) to win this summer's competition, having won the Women's Euro's six times (the most out of any country). Their hero of the 2013 final, Anja Mittag, is coming into the tournament aiming for her fourth Women's EURO title. Other players such as Mandy Islacker, Dzsenifer Marozsán, Leonie Maier, Isabel Kerschowski and Almuth Schult are world-class names included in the squad that will be battling it out with Italy, Russia and Sweden in Group B. Looking beyond the flair of the French (10/3) and the history of the Germans, England (10/1) really do stand a fantastic chance of sneaking the title on August 6th. I think it would be considered a travesty if the squad didn't reach the final of the competition, given the players they have and form they are in. I'm personally very excited to see another major tournament broadcast to millions at home and it could very easily be the best display of European women's football in recent memory. There is a strong selection of top class teams on show and some stand out international players will kick off their campaigns this weekend. With this in mind I've made a few predictions of my own. I also like the chances of England, France, Germany & Sweden to reach the semi-finals, and as for the tournament Top Goalscorer then Norway's Ada Hegerberg who coming into the tournament on a hot streak. Norway could easily reach the quarter finals and she will lead the line well for the Scandinavians. Hegerberg won the 2016 UEFA Best Women's Player in Europe Award in 2016, and in 2017 was named BBC Women's Footballer of the Year. No pressure Ada! *Keep an eye out for more thoughts from me over the coming weeks.